Do not use as your sole source of calories. Pure Whey™(Ultrafiltered Whey Concentrate [Compromised Of ~45% B-Lactoglobulin, ~20% A-Lactalbumin, ~15% Glycomacropeptides, ~10% Immunoglobulins, ~6% Bovine Serum Albumin, ~1% Lactoferrin, ~1% Lactoperoxidase, Protease Peptone, Lysozyme], Whey Isolates, Partially Hydrolyzed Whey Peptides), (Milk), Natural And Artificial Flavors, Cookie Bits [Sugar, Wheat Flour, Cocoa (Processed With Alkali), Partially Hydrogenated Vegetable Oil, Soybean And/or Cottonseed), Salt, Natural And Artificial Flavors], Acesulfame Potassium, Sucralose. Made In A GMP Facility That Uses Milk, Soy, Eggs, Peanuts. Pure Whey(Ultrafiltered Whey Concentrate [Compromised Of ~45% B-Lactoglobulin, ~20% A-Lactalbumin, ~15% Glycomacropeptides, ~10% Immunoglobulins, ~6% Bovine Serum Albumin, ~1% Lactoferrin, ~1% Lactoperoxidase, Protease-Peptone, Lysozyme], Whey Isolates, Partially Hydrolyzed Whey Peptides), (Milk), Cocoa, Natural And Artificial Flavors, Cookie Bits [Sugar, Wheat Flour, Cocoa (Processed With Alkali), Partially Hydrogenated Vegetable Oil, Soybean And/or Cottonseed), Salt, Natural And Artificial Flavors], Lecithin (Soy), Acesulfame Potassium, Sucralose. Made In A GMP Facility That Uses Milk, Soy, Eggs, Peanuts. Pure Whey™(Ultrafiltered Whey Concentrate [Compromised Of ~45% B-Lactoglobulin, ~20% A-Lactalbumin, ~15% Glycomacropeptides, ~10% Immunoglobulins, ~6% Bovine Serum Albumin, ~1% Lactoferrin, ~1% Lactoperoxidase, Protease Peptone, Lysozyme], Whey Isolates, Partially Hydrolyzed Whey Peptides) (Milk)), Natural And Artificial Flavors, Lecithin (Soy), Natural Cocoa, Acesulfame Potassium, Sucralose. Made In A GMP Facility That Uses Milk, Soy, Egg, Peanuts. Pure Whey(Ultrafiltered Whey Concentrate [Compromised Of ~45% B-Lactoglobulin, ~20% A-Lactalbumin, ~15% Glycomacropeptides, ~10% Immunoglobulins, ~6% Bovine Serum Albumin, ~1% Lactoferrin, ~1% Lactoperoxidase, Protease Peptone, Lysozyme], Whey Isolates, Partially Hydrolyzed Whey Peptides) (Milk), Natural And Artificial Flavors, Lecithin(Soy), Sodium Chloride, Acesulfame Potassium, Beet Powder, Sucralose. Made In A GMP Facility That Uses Milk, Soy, Egg, Peanuts. Pure Whey (Ultrafiltered Whey Concentrate [Comprised Of ~45% B-Lactoglobulin, ~20% A-Lactalbumin, ~15% Glycomacropeptides, ~10% Immunoglobulins, ~6% Bovine Serum Albumin, ~1% Lactoferrin, ~1% Lactoperoxidase, Protease-Peptone, Lysozyme], Whey Isolates, Partially Hydrolyzed Whey Peptides)(Milk), Natural And Artificial Flavors, Beet Powder, Acesulfame Potassium, Sucralose. Made In A GMP Facility That Processes Milk, Soy, Egg, Peanuts. Pure Whey Protein Blend (consisting of ultrafiltered whey protein concentrate, whey isolates, partially hydrolyzed whey peptides and glutamine peptides), cocoa, natural and artificial flavors and aspartame. Mix 1 slightly rounded scoop with 6 oz. of water or milk. On training days take a minimum of two servings daily with one serving within 45 minutes after training and the other serving between meals. On non-training days take at least one serving daily between meals. For best results, use a blender. 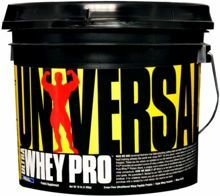 Pure Whey Protein Blend (consisting of ultrafiltered whey protein concentrate, whey isolates, partially hydrolyzed whey peptides and glutamine peptides), natural and artificial flavors, cookie bits, lecithin (soy), acesulfame potassium, sucralose. Mix 1-2 slightly rounded scoops with 6-12 oz. of skim milk or your beverage of choice. On training days take a minimum of two servings daily with one serving within 45 minutes after training and the other serving between meals. On non-training days take at least one serving daily between meals. For best results, use a blender or a Universal Mixboy. 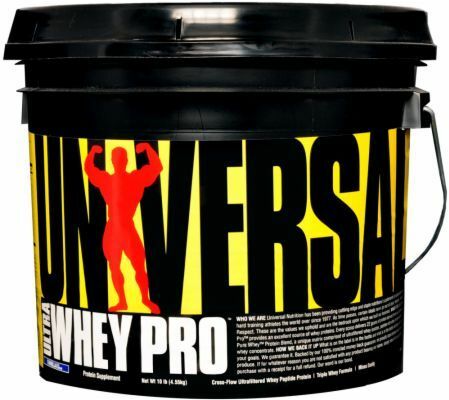 Pure Whey Protein Blend, whey isolates, natural and artificial flavors, lecithin, sodium chloride, acesulfame potassium, beet powder, sucralose, Make in a GMP facility that uses milk, soy, egg, and peanuts. Mix 1 slightly rounded scoop with 6-12 oz. of water or skim milk. On training days take a minimum of two servings daily with one serving within 45 minutes after training and the other serving between meals. On non-training days take at least one serving daily between meals. For best results, use a blender. Pure Whey™(Ultrafiltered Whey Concentrate [Compromised Of ~45% B-Lactoglobulin, ~20% A-Lactalbumin, ~15% Glycomacropeptides, ~10% Immunoglobulins, ~6% Bovine Serum Albumin, ~1% Lactoferrin, ~1% Lactoperoxidase, Protease Peptone, Lysozyme], Whey Isolates, Partially Hydrolyzed Whey Peptides) (Milk), Natural And Artificial Flavors, Lecithin(Soy), Sodium Chloride, Acesulfame Potassium, Beet Powder, Sucralose. Made In A GMP Facility That Uses Milk, Soy, Egg, Peanuts.